Standard and pairs side bets offered. Playable in full screen video or small screen video as pictured. 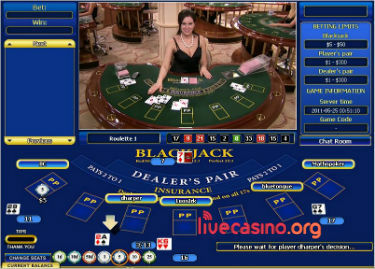 Live blackjack powered by Playtech. Streamed from Playtech's immaculate Latvian studio. Shoe contains 8 decks, blackjack pays 3:2, dealer stands hard & soft 17. Here you're playing hold'em poker against the house. Ante-up and you get your pocket cards and see the Flop. 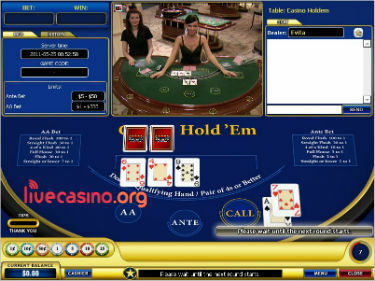 A call bet (2x Ante) sees the Turn, River and dealer's cards. 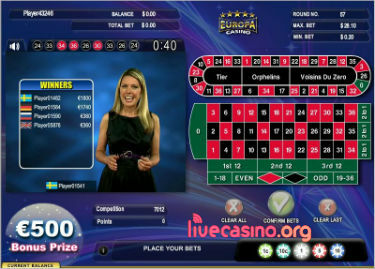 One of Playtech's three live TV Games. It is presented in TV-game (show) format with attractive presenters working to a script. Odds and payouts as per normal European roulette. No interaction with the dealer. 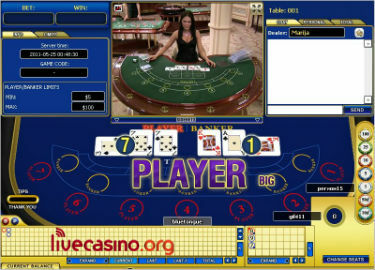 Most online casinos claim to have wonderful 24/7 customer support but few actually do. Support at Europa is ever-present from the moment you open an account. Once you register/login a live-chat window will regularly pop-up (to the point of annoyance at times) with a support staff member on the other end of line checking to see if all is well, particularly if you haven't yet made a deposit! 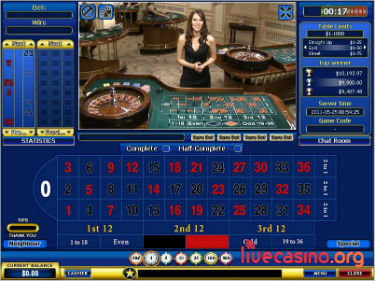 Their live casino is powered by Playtech and includes both 'live dealer' and 'live TV' platforms so you won't be disappointed with the look & feel or playability of the games.